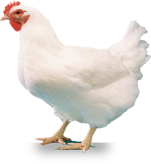 This Digital Library was created by WVPA with generous support from Ceva as a service to its members and to make available technical articles in the field of poultry health to poultry veterinarians, students and anyone involved in the management of avian health as a prerequisite to the production of safe, healthy and nutritious poultry products for human consumption. To access the whole library database simply type your keyword into the search box. The search will include article title, author and company If you want to narrow your search, select a specific source from the drop down menu on the left to the search bar first.